Restaurant consumers often spend most of their time queuing outside garden restaurants during mealtimes, waiting for a table. If restaurant owners and customers can effectively utilize these idle times, both of them will inevitably benefit. This study developed an interactive device that can be used to divert customers’ attention during waiting times and enable them to enjoy the fun of using this device, thereby helping restaurant owners promote their garden restaurants and local postcards. 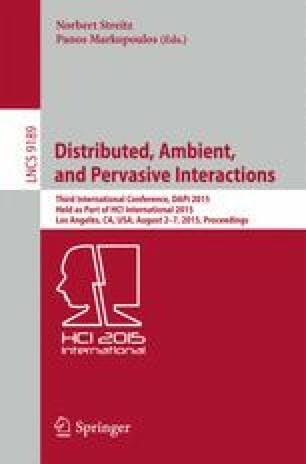 A literature review on human–computer interaction, wearable devices, and generative art was conducted to propose the design principle of the interactive device. Subsequently, prototyping, user manual, and recommendations for users were developed, and the effectiveness of the prototype was assessed. This study developed an interactive device with which users can use during their waiting or idling time. The prototype of this interactive device involves combining the concept of generative art and a pulse sensor. Participants can use the garden restaurant’s postcard as an interactive media, which can then be converted into images through image processing. According to rules and motion of a graphics, the prototype can provide unique visual feedback. In addition, the proposed prototype entails a wearable pulse sensor that enhances the graphic rules and motions, enabling users to see their own heartbeat information. Moreover, a novel interactive thinking for wearable devices was proposed. The contributions of this study included (1) completing the prototyping of a pulse sensor based on the concept of generative arts, and (2) developing a novel wearable interactive device that can be used in garden restaurants.